At 17, Jensen Callahan fled her small hometown of Justis, Texas, the night her daddy was murdered. From the wrong side of the tracks, and with lingering suspicions but no answers, Jensen found a safe haven with a kindly Christian widow in Houston. Thirteen years later, Jensen finally feels settled and content as a faithful TeamWork Missions volunteer and the office manager for Doyle-Clarke Catering. 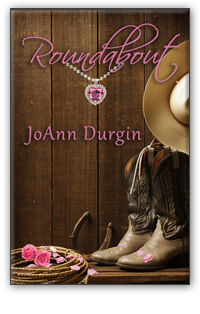 When Sloan McClain walks into the office to hire the caterers for the West Texas Independent Cattlemen’s Association annual dinner, her carefully guarded life is thrown into turmoil. One meeting is all it takes for Jensen to know the tall, dark, and devastatingly handsome cattle rancher—her first love and the boy she left behind in Justis—still holds her heart. As his late father’s only child and heir, Sloan McClain now operates the family’s thriving cattle ranch and controls their vast oil interests and mineral rights. But for all his many blessings, Sloan’s days are empty and incomplete without a wife to share his life and raise a family. He’s never forgotten Jensen Callahan, the long-legged, golden-eyed blonde beauty he’d dated against his father’s wishes. He’d loved her, and no woman since has compared. After Jensen disappeared, he vowed to find her and bring her home one day, but each time he’d gotten close, she’d managed to slip away. Sloan refused to accept the heartbreaking possibility that she never wanted to be found, never wished to return. All Sloan wants is a second chance with his first love, but he understands Jensen desperately needs closure about what happened to her father that fateful night in Justis. Together they begin to work toward finding answers as they renew their tentative and fragile relationship. But once they discover the truth, will it set them free or tear them apart forever? From USA Today Bestselling Author, JoAnn Durgin, the beloved Lewis Legacy Series continues with Sloan McClain and Jensen Callahan in Roundabout. A story of first love, forever love, and the peace, forgiveness, and grace that can only come from a personal relationship with our merciful and loving God.